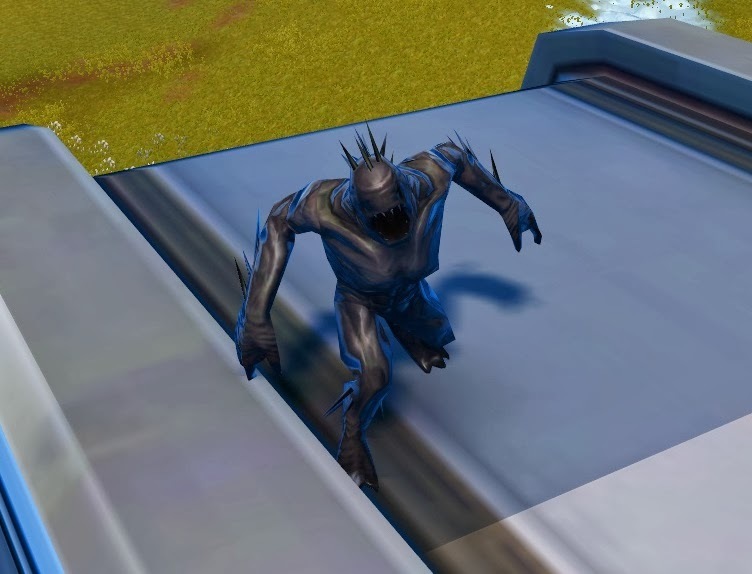 Going Commando | A SWTOR Fan Blog: Bring on the rakghouls! It's strange to think that it's already been almost two years since the first big rakghoul world event. The Old Republic had only been out for four months back then, and while the game's population was already coming down from its peak at launch, it was still a pretty big deal and there was significant interest in everything that was going on inside its world. Writing about the event as it unfolded got me the biggest traffic spike in the history of this blog - if you're feeling nostalgic (or want to know what it was like if you didn't play back then), the three posts I made about my experience with the rakghouls are still available. Based on what I wrote back then I dare say that it's not just nostalgia speaking if I say that it was a damn successful event - not perfect by any means, but still damn good. So why was my first reaction when someone datamined information about the event making a possible return pretty much: "oh no"? I like the occasional one-time world event, and while I've accepted that all new world events going forward will be repeatable, that doesn't mean that I want to see my precious memories of what came before get dragged up just to see them rehashed every other month until I'm sick of rakghouls. How would a repeating event based on a starship crash bringing the plague to a random planet make any sense anyway? To be fair, from what's known about the newest iteration of the rakghoul plague so far, it's not just going to be a rehash of what came before; it looks like it's going to be quite different. Then again, I still have to wonder: if they were going to make a whole new world event anyway, why not make it about something completely new and different? Oh well. Truth be told, I'm excited anyway. It's been five months since they last introduced a new world event (I'm not counting the Life Day snowflake spam), and I'm itching for some new PvE content, any kind of PvE content. And in fairness to Bioware, there hasn't been a world event yet that I didn't find highly engrossing and enjoyable at least the first time around. They have also been teasing people via social media all week, posting tweets and Facebook status updates about mysterious things happening on Alderaan, and I have to admit that it's worked to get me excited at least. Bring on the rakghouls already! I missed the first rakghoul event, so I'm really excited about this as well! Considering that the Rakghoul event ended about the time I was checking out SWTOR via a free weekend, I'd actually like to see it happen.